Moving is a stressful experience. While most places you deal with during a big move will try to help make the process easier, there are people out there who will try to take advantage of you when you’re feeling frazzled. It might be tempting to hire that cheap mover on Craigslist, but if you’re not careful you could end up getting scammed. Just imagine, you think you’re hiring a moving company and instead you get one guy with a sketchy van – not exactly ideal. Here are a few things you should watch out for when you’re hiring a moving company. WHAT ARE SOME WARNING SIGNS THAT A MOVING COMPANY IS RUNNING A SCAM? See a deal that sounds too good to be true? It probably is. The advertised price usually isn’t clarified by any small print and doesn’t actually say what the price is referring to. That’s what the scam is – as soon as a contingency is encountered (and there is always a contingency: stairs, long carry over 50 feet, wrapping furniture, weekend rates, etc.) the price will go up because there is no paperwork or binding agreement. That’s how you’ll end up with half your stuff being held hostage on the truck on moving day unless you pay the outragoues bill at the completion of the move. WHAT CAN CONSUMERS DO TO PREVENT BEING TAKEN ADVANTAGE OF? In short, you should plan ahead. When you book early, you have more choices available. It means you can take your time to find the moving company you have the best relationship with. If you have the time, it’s always smart to do your research on moving companies so you can determine if a company lives up to its promises. Remember, movers are responsible for safely and efficiently moving everything you own. It’s not a decision you should rush. 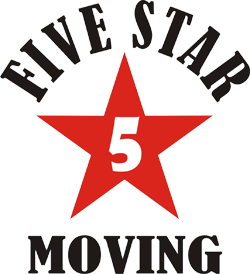 If you are looking for a professional moving company in the Las Vegas area that won’t take advantage of you, consider hiring Five Star Moving for your next move. 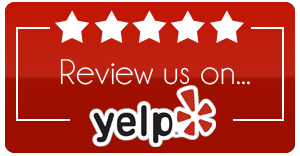 Call us at 702-936-0152 for a free quote.